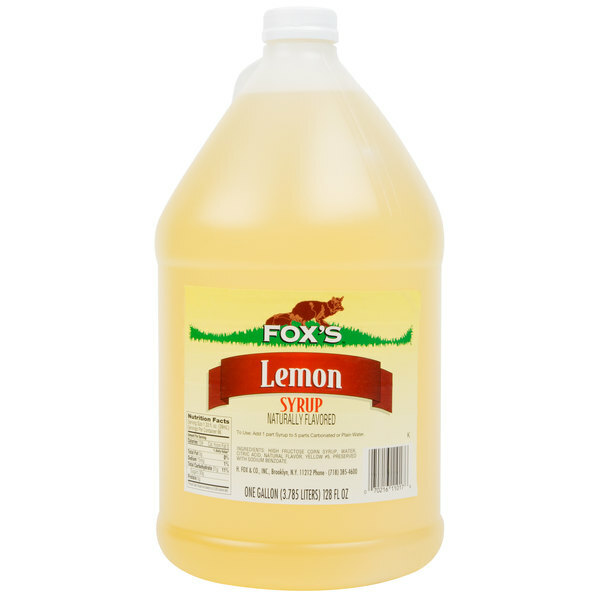 Make your own house sodas and other custom beverages with Fox's lemon syrup! Far from the average drink mix, this syrup features a delightful citrusy-sweet flavor that customers will love. This syrup is also caffeine-free, so customers of all ages can enjoy it any time of day. Featuring all the flavor of comparable bottled beverages, this syrup is tasty and easy to use. A corporation specializing in irresistible ice cream toppings, fizzy soda mixes, and more for over 100 years, H. Fox & Company has perfected their lemon syrup recipe to fit your operation's many needs. 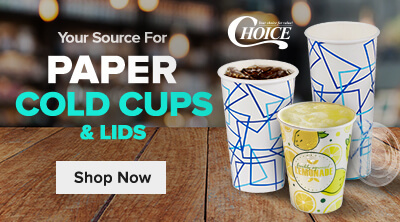 A popular flavor for decades, lemon sodas and drinks have persisted as a beloved beverage the whole world over. Following in that grand tradition, Fox's syrup contains the signature sweet and slightly tart flavors with an eye-catching yellow color that customers have come to expect. Your business will be in good supply of this syrup because there are (96) 8 oz. 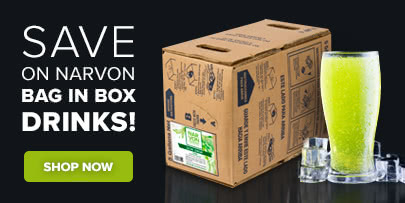 servings in every 1 gallon container. For an even better beverage presentation, serve the finished product over ice and add a few lemon slices. An essential flavor for your soda machine, this lemon syrup is the perfect addition to any pizza shop, concession stand, convenience store, and more! This lemon syrup is generally mixed 1 part syrup to 5 parts of carbonated water for lemon soda, or 5 parts of plain water for a lemon drink. You can alter the flavor intensity by adding more or less syrup to create the perfect beverage for your venue. With Fox's lemon syrup, serving the sweet refreshments that your customers love has never been easier. Featuring a tamper-evident screw cap, which can be resealed for convenient storing, you can be sure that your product always stays fresh. Compatible pump dispensers (sold separately) can also be attached to the top of the syrup's 1 gallon container for easy dispensing. The Fox's lemon syrup is great and very strong tasting. The syrup is great for flavoring tea or sodas. The syrup is a great consistency and incorporates well into the beverages. Fox's is a great brand that has great syrups at a low cost. The syrups work well to create in house sodas. 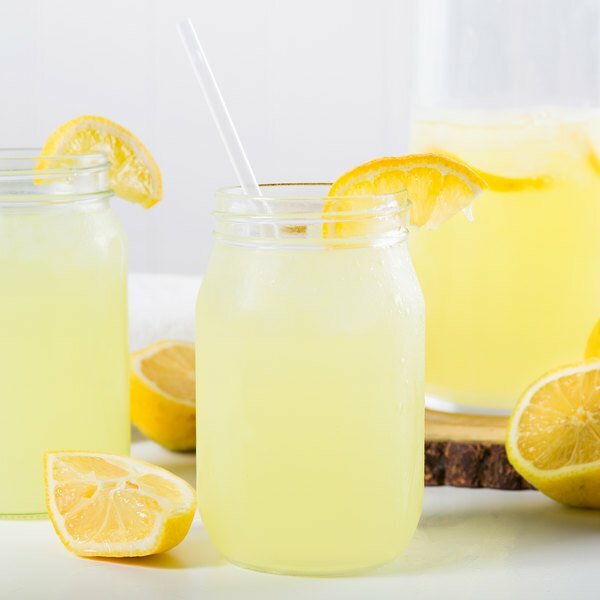 The lemon syrup is perfect for making lemon soda or lemonade. A great tart flavor. A great drink syrup that is perfect for creating homemade beverages or sodas in house at your restaurant. The price is great and the quality is superb. A great lemon soda that is perfect for flavor our lemon based sodas and teas. Very flavorful and citrusy.